Pauleen Luna Surprised Bossing Vic on Her Seductive Wedding Photo Shoot! CHECK THIS OUT! Everyone was waiting for the wedding of the two GMA Kapuso star and Eat Buluga Dabarkads Vic Sotto and Pauleen Luna. The couple was set to tie their knots on one of the days of January 2016. They wanted to make everything in private, that is why there are still no update of full details of the ceremony. Pauleen surprised her husband-to-be bossing Vic in her different and unusual traditional photo shoot of a couple. She showed her hot and humid side for a special portrait session, which is called the bridal boudoir. 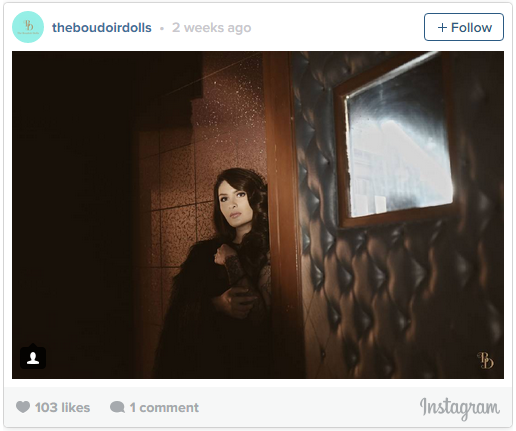 The whole session was done by the group of local photographers "The boudoir Dolls". Pauleen Luna was extremely beautiful and mouthwatering gorgeousness on her own seductive poses that built more sexiness into many elegant of those sleeping gowns. The group posted on shot of her photo which brought to the attention of many people.